19 Cute Piggy Banks for Kids! Kids Banks: Cute Piggy Banks for Children! One of the best educational gifts you can ever give your child is a piggy bank! Teaching children about money from an early age is one of the most important things you will ever teach your child! Kids banks are usually very cute, fun, colorful, unique and will teach them how to save money! 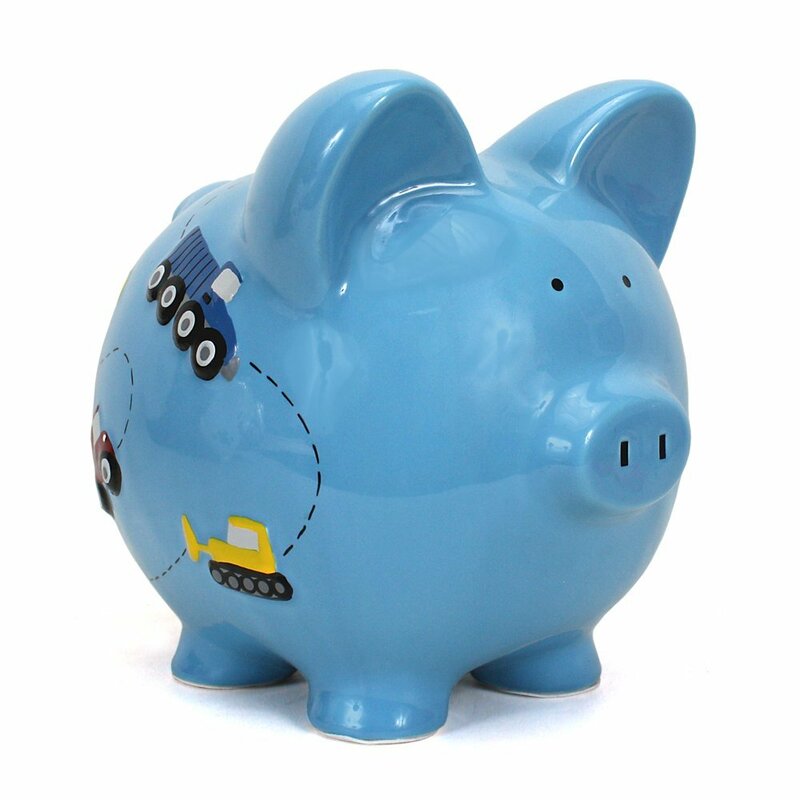 Choose the cutest piggy bank for your child and start teaching him right away about money! We all need to develop our financial intelligence so we will not make financial mistakes in the future! I chose the best kids banks to promote a child’s ability to want to save money and have fun in the process too! Let’s all save our money with these cute kids banks! 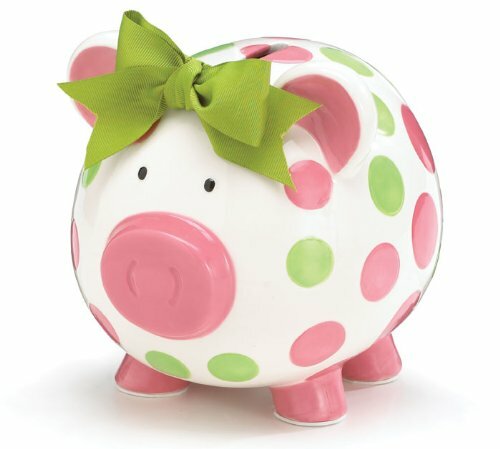 Cute Pink and Green Polka dot Piggy Bank for Girls! One of the cutest kids banks ever! It’s a cute hand-painted ceramic piggy bank for baby girls! Will look awesome in your baby’s nursery room! I love the fun green bow on the head! Adorable Black and White Pig in Skirt Girls Piggy Bank! I love these sweet piggy banks for kids! Will look so beautiful in a baby’s nursery or child’s bedroom! 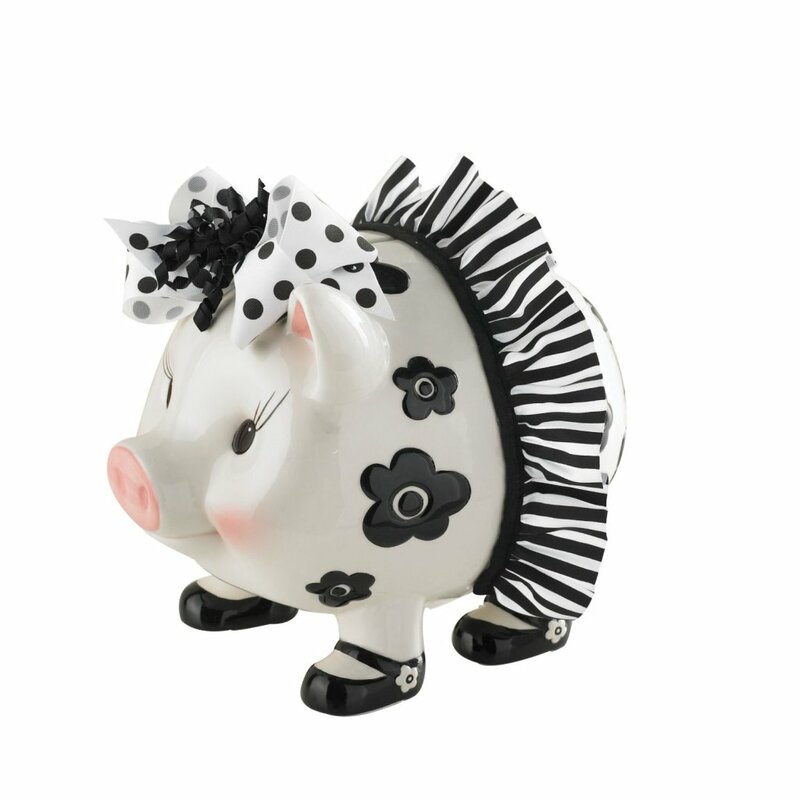 How absolutely adorable is this black and white floral pig in skirt piggy bank for girls? And adorable black shoes and her and cute chubby pig feet! Makes a great gift for a baby girl shower! Cute Silver Bear Piggy Bank! 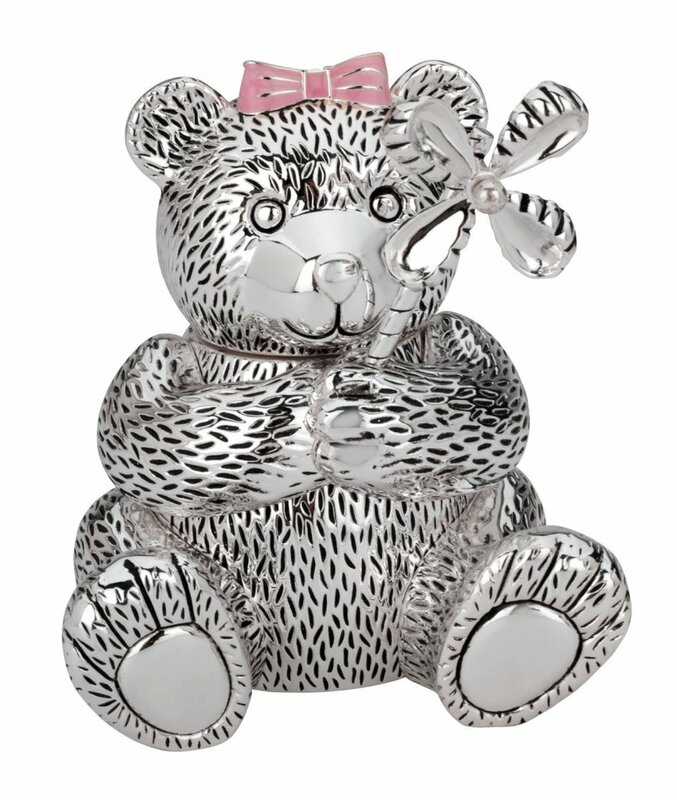 Cute silver bear shape piggy bank for a little girl’s bedroom! It’s a girl bear after all! Fun Football Shape Piggy Bank for Boys! This is one of the best piggy bank ideas for little boys! 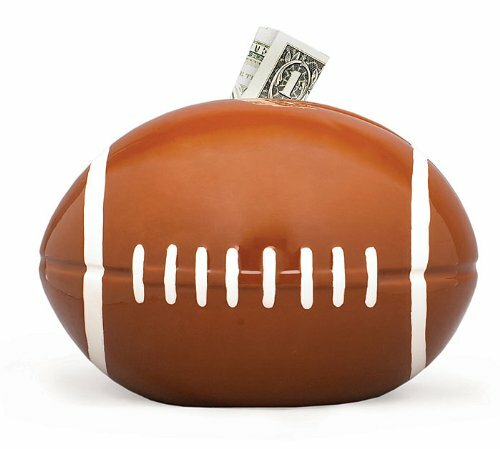 It’s a fun football shaped ceramic piggy bank! Unique piggy bank for boys bedrooms! Also makes a great gift to any sports fan! Cool Baseball Shape Piggy Bank For Boys Bedroom! 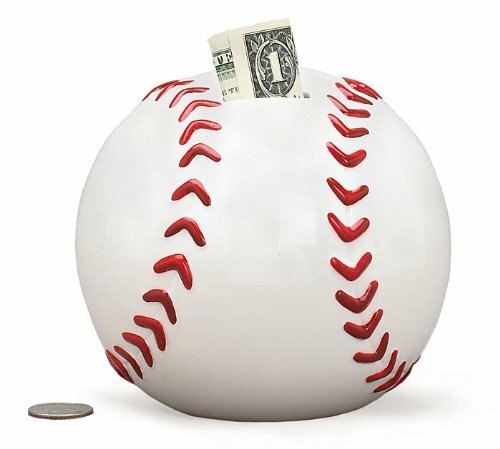 A fun baseball shaped ceramic piggy bank! Makes an awesome gift for children or adults! It is made of ceramics and it will look great in a boy’s bedroom! 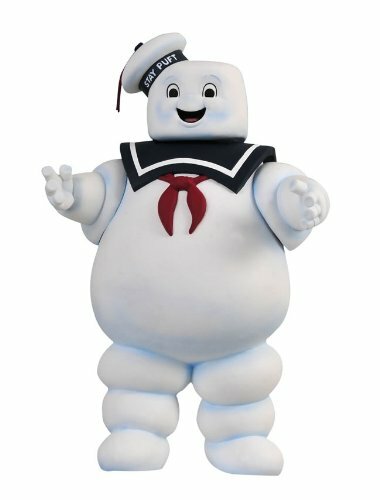 Ghostbusters: Stay Puft Marshmallow Man Unique Piggy Bank! What a great and unique fun marshmallow man piggy bank! Perfect gift for a “Ghostbusters” movie fan! It is 8 inches tall and made of vinyl. 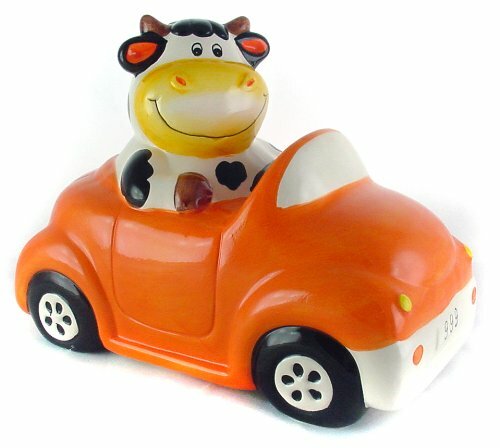 Cow in Car – Fun Animal Piggy Bank! What a great and unique kids bank! A cute cow riding an orange car! Will look amazing in your child’s bedroom! Adorable Bobble Head Monkey Money Bank! It’s a funny monkey piggy bank! 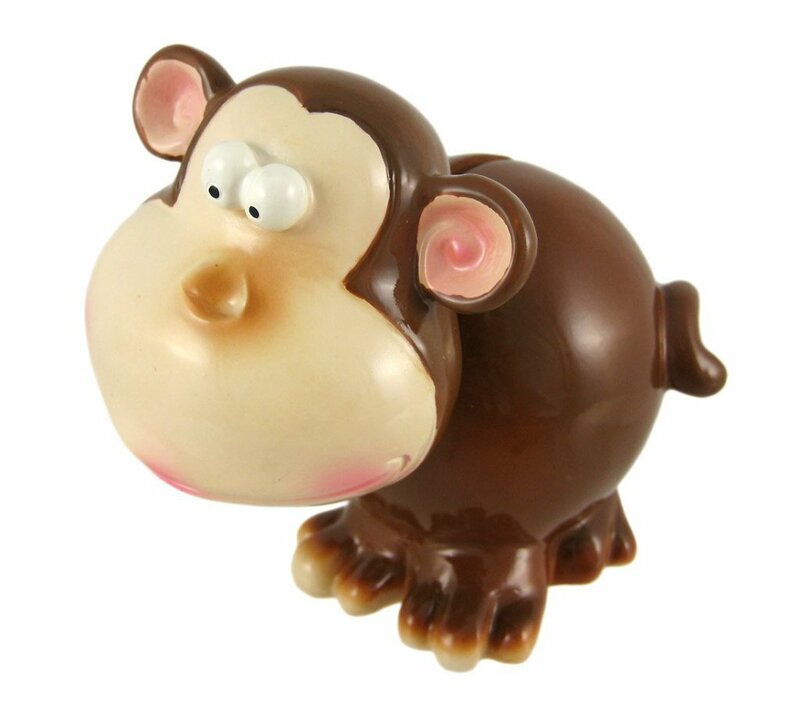 I had to show this funny monkey piggy bank to you! It is hand-painted and very cute!! What a wonderful “monkey gift” to a monkey lover! Coolest Animal Shape Piggy Banks for Kids! Looks amazing in any bedroom or living-room! 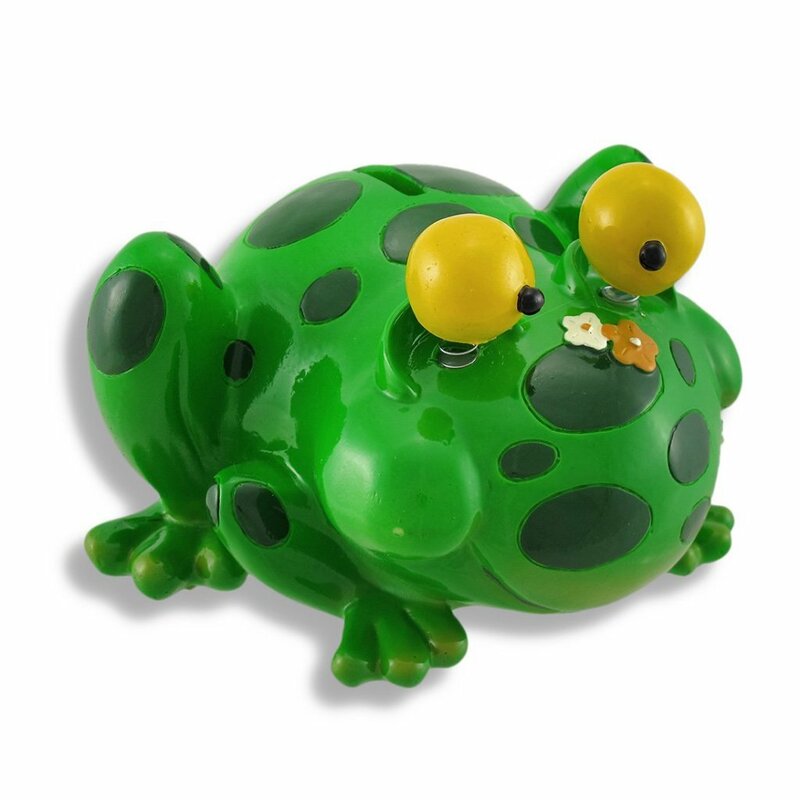 Crazy and funny frog piggy bank! Perfect gift for frog fans and children! Funny Fat Frog Piggy Bank! The fat frog ate it! 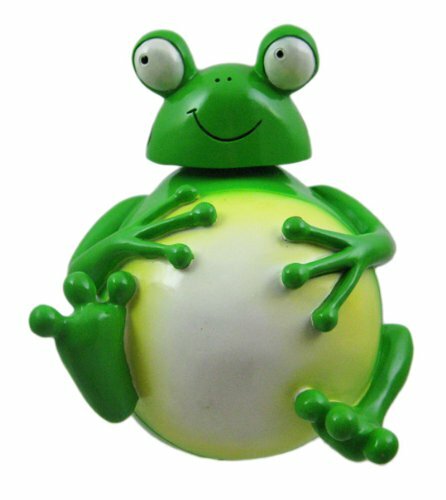 How funny is this fat frog piggy bank? It is one of the most hilarious kids banks from this page! Great gift idea to anyone who loves frogs! Will look great in your home anywhere! Cute and Fun Blue Polka Dot Octopus Piggy Bank! What a creative and unique piggy bank! 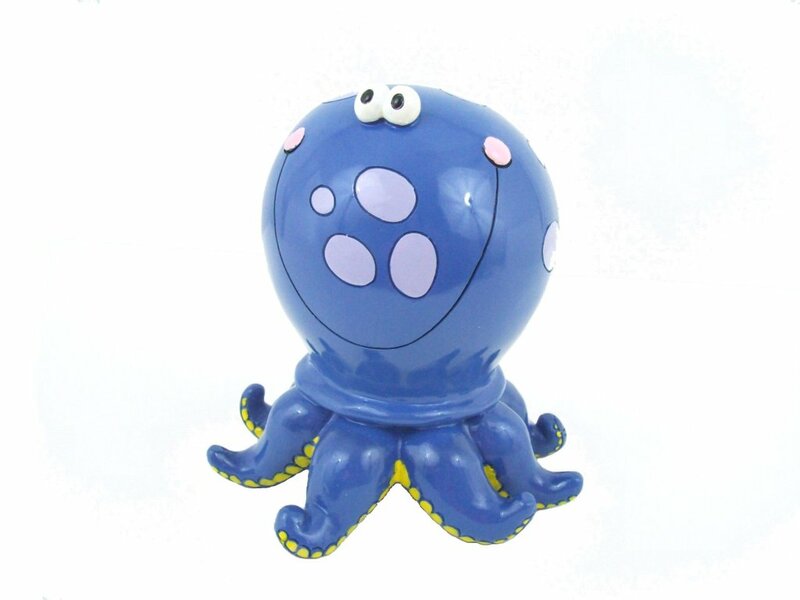 This blue octopus piggy bank makes an amazing gift to anyone! What a fun way to teach kids about money! 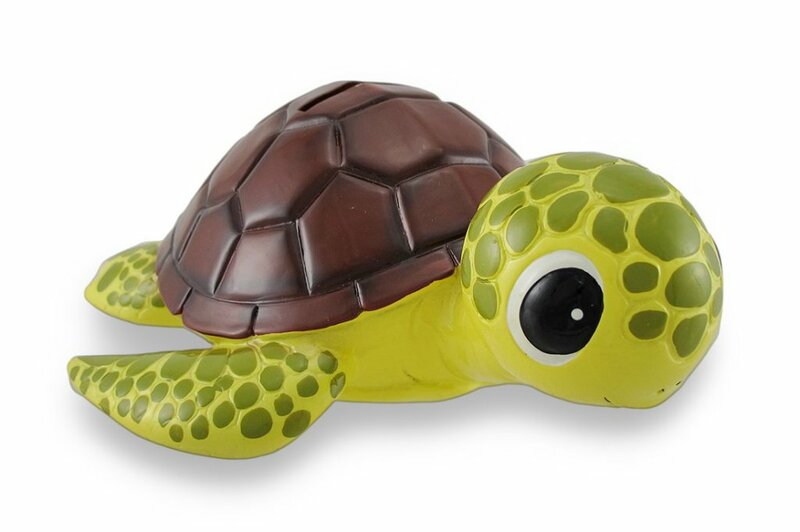 Adorable Sea Turtle Piggy Bank! 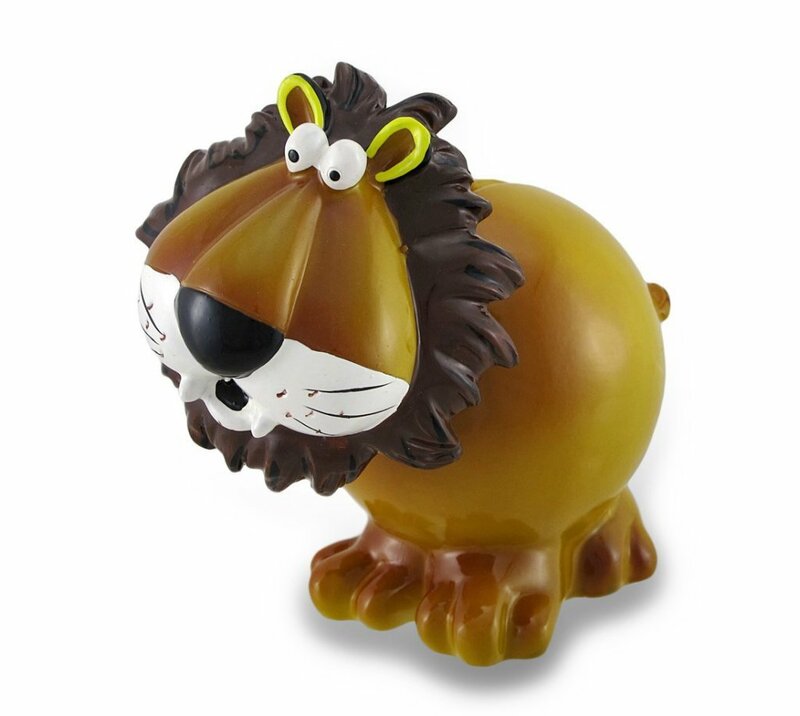 Fun Animal Shape Kids Banks! What a cute sea turtle piggy bank! Isn’t she the cutest turtle money bank you’ve ever seen? Yes, she saves her money slowly…. What a great and unique turtle gift! Super Cute Green Owl Piggy Bank! 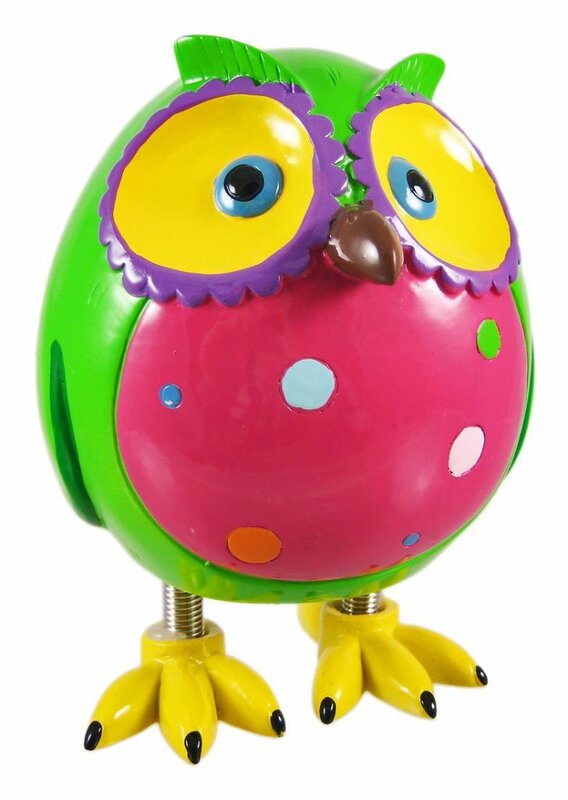 A cute and colorful owl shaped piggy bank for sale! Don’t you just want to take her home? Great and unique piggy bank for anyone!! Perfect owl gift to owl lovers! 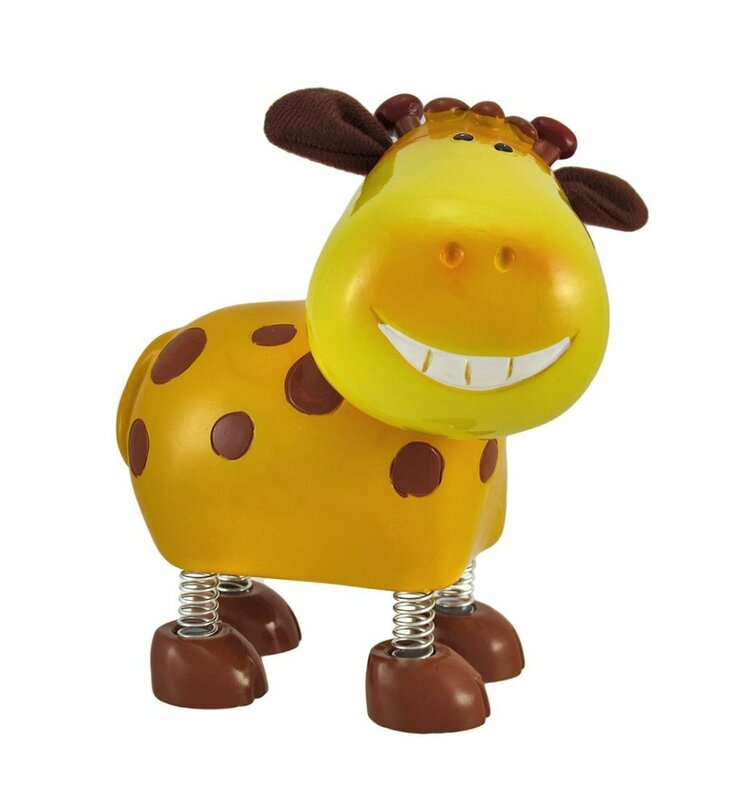 Time for a funny and cute giraffe piggy bank now! Perfect giraffe gift to giraffe lovers! 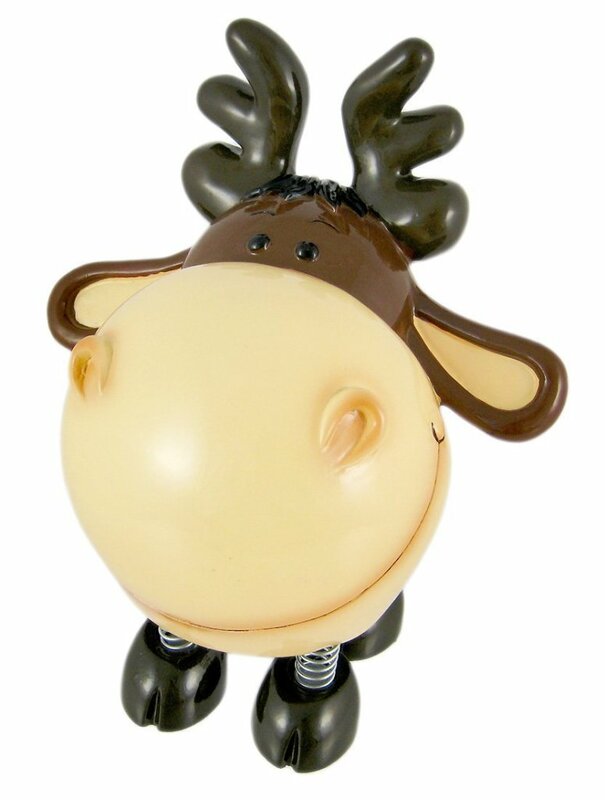 What a funny moose piggy bank! Perfect gift to moose fans! Save money ‘the moose way’! 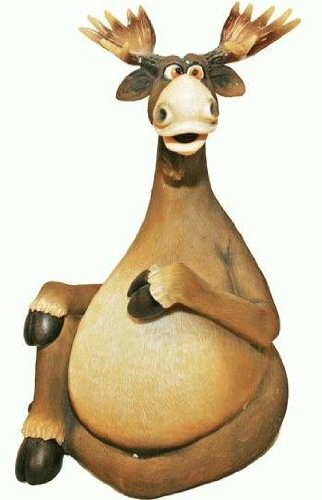 I had to show this hilarious moose kids bank too! He is super happy to have ‘eaten’ all your money! He is even rubbing his moose belly! What a fun ‘moose gift idea’! 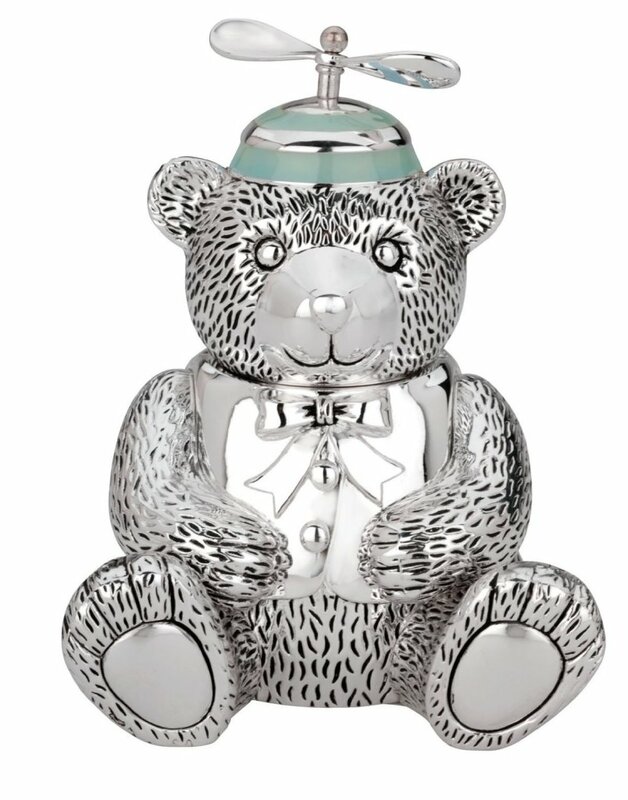 Cute Silver Bear Piggy Bank for Boys! What a cute silver boy bear piggy bank!! Fun gift idea for a new baby boy!